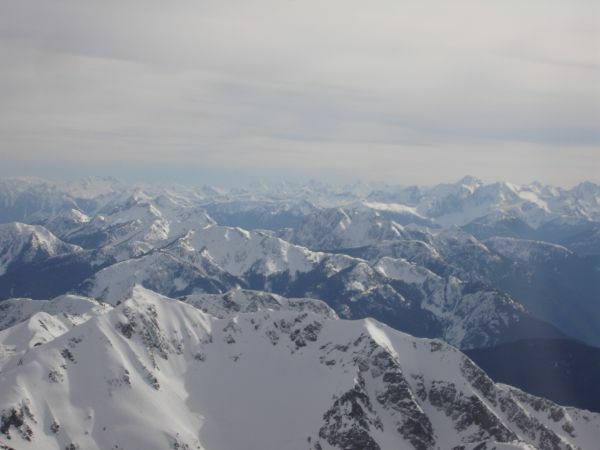 The Cascade mountains, east of Hope. When the weather is marginal for VFR, these could be very nasty for flyers. 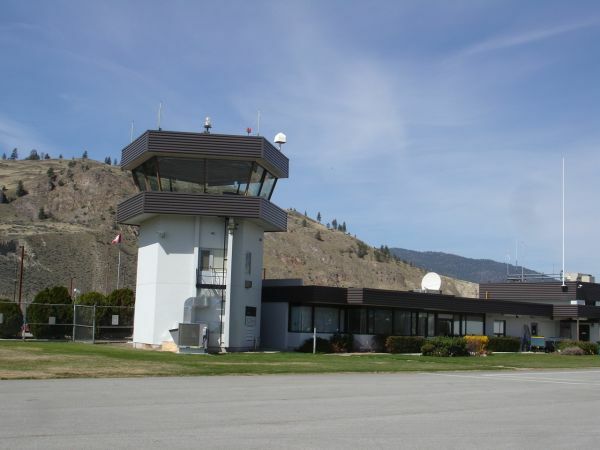 CYYF Tower - Those were days, when there was a controled airspace. Now a radio operator resides. The second try to fly to Port Hardy was successful. I had a small errand at Abbotsford Airport, which delayed my departure. There was a minor incident there, too. Where the airplane was parked in front of Bakerview Aviation, an angry security officer rushed up to me and started shouting at me. These things are becoming more common after 9-11, caused by artificially created security paranoia. After a few noisy exchanges, I changed my mind. I apporached him, forcifully shook his hands and said, "Let's do it in a more civilized manner." In the end, he agreed to keep the plane at the same spot while I was filing a flight plan to Part Hardy. With cooperating weather, the trip to the north end of Vancouver Island was uneventful. The most regrettable thing was I had no extra time to spend time to explore the town. At least on my return, I flew towards Cape Scott before headed back to Pitt Meadows. It was a vast country in the background of the Pacific Ocean. Next time I'll take a foldable bike with me, as well as a camera.